Manchester United assistant manager Willie Kirk has been named new manager of FA Women’s Super League bottom club Everton, replacing outgoing manager Andy Spence, who left the club at the start of the month. 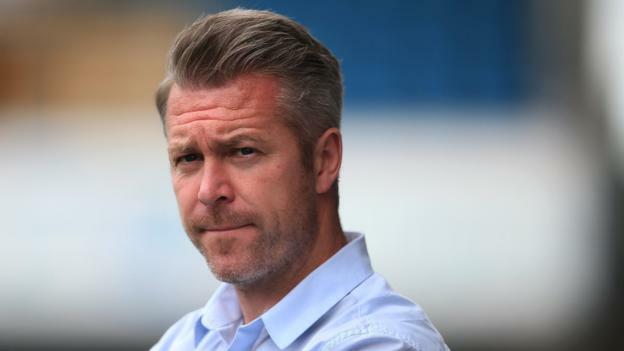 Kirk previously managed Bristol City before leaving the club in the summer to join Casey Stoney as number two at the new FA Women’s Championship club. But after less than six months in the job, Kirk has been lured away by the temptation of once again becoming a number one at a club with plenty of potential. Despite their position at the bottom of the table, Everton house two full England internationals in the team and as recently as five years ago possessed players such as Lucy Bronze, Jill Scott, Toni Duggan, and Fara Williams. The potential in the job was proven by the high amount of applications the club received despite only opening up the chance to apply for a short window in order to get a new manager in as soon as possible. Former FA WSL managers Neil Redfearn and David Parker were both keen on the job, Birmingham City boss Marc Skinner was one of Everton’s desired options had he been interested but club sources have told OGM Skinner was never a realistic option and no approach was made, while current Ajax manager Benno Nihom was also of interest. But with Kirk interested in returning to a number one role and several sets of discussions having taken place in the weeks since Spence left his role at the start of November, the Toffees sought the approval from United to speak formally to the Scotsman, something which they soon received. The former Bristol manager’s reputation for working with – and developing – young players is seen as a big plus point with both Claire Emslie and Lauren Hemp having been signed by Manchester City after spending time working with Kirk at Bristol. Of Bristol’s summer signings after Kirk left the club in the summer, several were already being lined up by Kirk, with some of the younger players having gone on to play a key role in Bristol’s much better start to the current campaign. Kirk arrived at Everton’s Finch Farm training ground on Wednesday afternoon to meet his players and inform them they wouldn’t be receiving a day off between now and the final match before the upcoming winter break, ironically against Manchester United. After taking training on Thursday, the finer details of the deal were thrashed out late on Friday night though Kirk was never likely to travel to Lewes with United for this Sunday’s match, but will now be in the dugout for tomorrow’s Merseyside derby against Liverpool. Kirk will be joined at Everton by Chris Roberts, a well-respected coach who formed part of Kirk’s staff at Bristol City and he too will take his place on the bench for the match on Sunday afternoon. The now ex-Man United assistant manager took training on Thursday morning as preparations now step up for a tough run of fixtures which will see Kirk come up against both of his former clubs before Christmas. With confidence low among some squad members, Kirk met with individual members of the team on Friday morning and sources tell OGM the mood is much more positive heading into a critical run of fixtures for the club. Everton face Merseyside rivals Liverpool in the Continental Cup next midweek after facing them in the FA WSL on Sunday, the perfect opportunity to get off to a good start with the Everton fans. Those games are followed by a league clash against his former club Bristol City before finally facing Stoney’s United in what may turn out to be a decisive Continental Cup match with both his new and old employers still fighting for a spot in the next round.